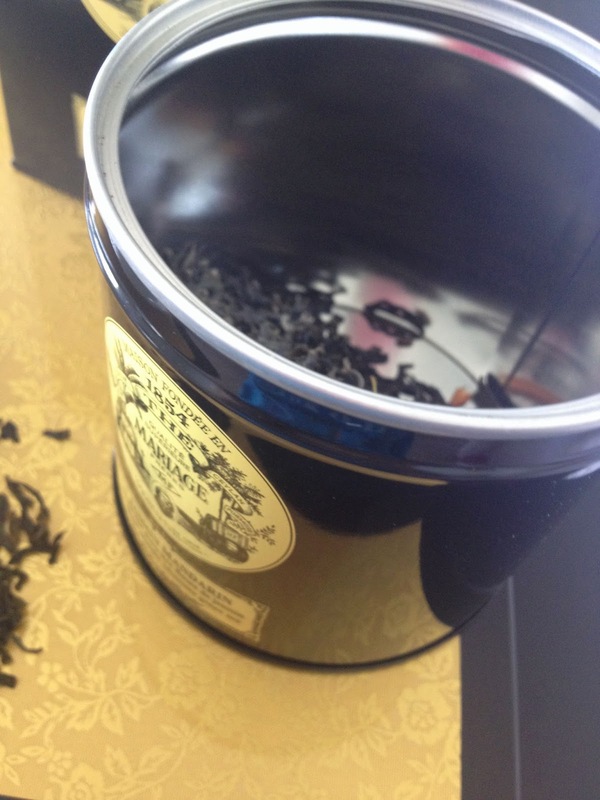 One last note about the packaging...Mariage seals the tin with a lid and a pop cap (like the kind on soda cans) to maintain the freshness of their tea... I have never seen that with any other brand. Isn't Mariage wonderful? Ok, really now I will talk about the tea. Because it arrived so beautifully packaged and fresh, I instantly adored everything about it. The flavor not too strong and the aftertaste is nonexistent. Even after sitting in water overnight, there is not a hint of bitterness. The jasmine aroma is not overbearing. 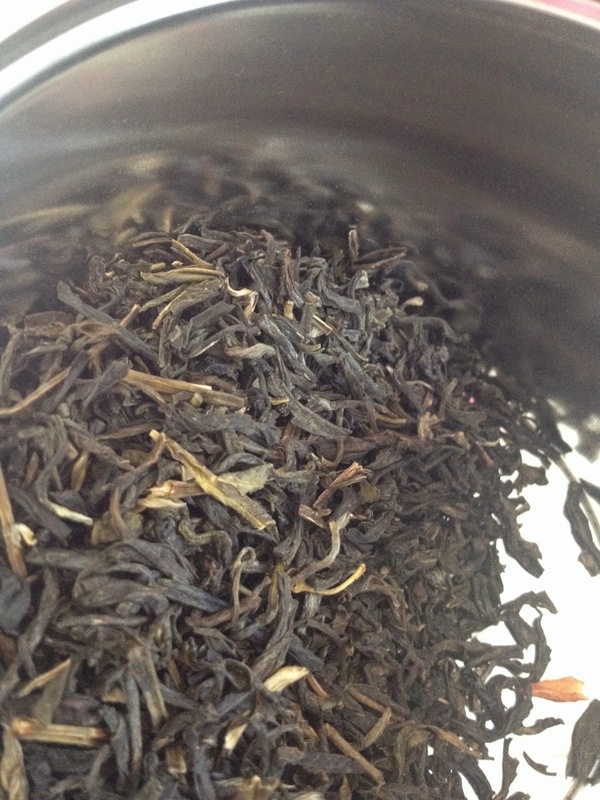 The tea is a green jasmine so there is definitely a lighter flavor (compared to an oolong jasmine for example). If you prefer a more intense jasmine aroma with a darker taste, I would go with Jasmine Dragon Phoenix Pearls from Teavana. My parents consistently praise the aroma of that tea. Is this the best jasmine I have ever had? No. I prefer jasmine silver needle. Would I buy it again? Probably not...mainly because Mariage has a million teas I want to try and I can buy similar jasmine teas (for less) elsewhere. At $25 for 3.5 oz, it is a bit cheaper than the (in my mind, superior in taste) silver needle at Teavana (Teavana's silver needle is $19.98 for 2 oz) but not cheap enough to count as an everyday jasmine tea. It is also a bit more difficult to obtain. You can order from Dean and Deluca but the selection of Mariage teas is limited and the shipping costs are ridiculous if you don't live near a Dean and Deluca. You can also visit the Mariage website but I have never ordered from there so I can't comment on their service. 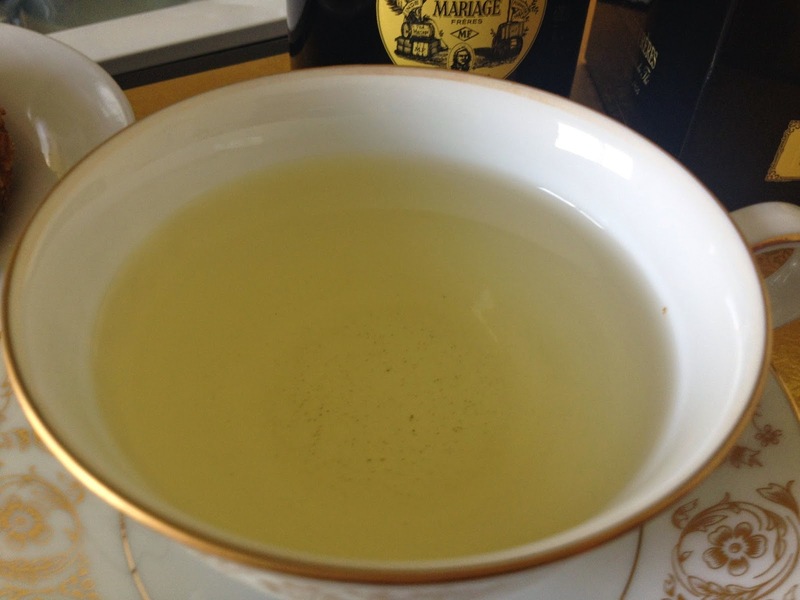 But, if you have never tried Mariage teas before, then I highly recommend starting with a great classic like this lovely Jasmin Mandarin. 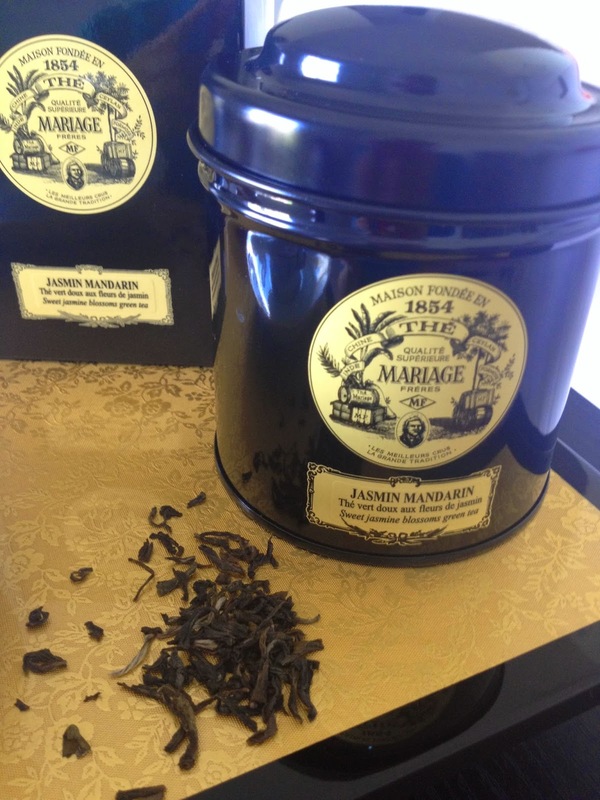 If jasmine is not to your liking, pick another favorite but do try something from Mariage. Hopefully you will come to love them as I do.